Sen. Elizabeth Warren (D-MA) on Capitol Hill on June 10, 2014. Active duty military members missed out on a key student loan benefit and the government failed to ensure they received it, say Massachusetts Senator Elizabeth Warren and two of her democratic colleagues. The accusations come after a report released Tuesday by the Department of Education’s Office of the Inspector General found that the Department used a flawed study design to determine whether student loan servicers were denying active duty service members the 6% interest rate cap on their student loans to which they’re entitled, perhaps inaccurately portraying the extent to which service members were denied the benefit. The Department published a news release on May 26, 2015 based on this analysis, which claimed that service members were incorrectly denied the interest rate cap in less than 1% of cases. That release is “unsupported and inaccurate,” the OIG report found. “Today’s report is a stunning indictment of the Department of Education’s oversight of student loan servicers, exposing the extraordinary lengths to which the Department will go to protect these companies when they break the law,” Warren said in a statement regarding the report. Warren and Senators Patty Murray (D-Wash.) and Richard Blumenthal (D-Conn.) wrote to the inspector general in August to ask that she investigate the Department’s review, saying it “left us with more questions than answers.” The report released Tuesday is a response to that request. The Senators were skeptical of the review, they wrote in the August letter, because it didn’t jive with findings from the Justice Department that just one student loan servicer, Navient, improperly denied the interest rate cap to nearly 78,000 service members. The Justice Department reached a $60 million settlement with Navient in 2014 over claims the company overcharged borrowers. At the time, then-Secretary Arne Duncan vowed to conduct a review of the nation’s four largest student loan servicers over the way they treat service members that could have implications about whether they could continue to service federal student loans. That’s the analysis that the Inspector General announced Tuesday was flawed. 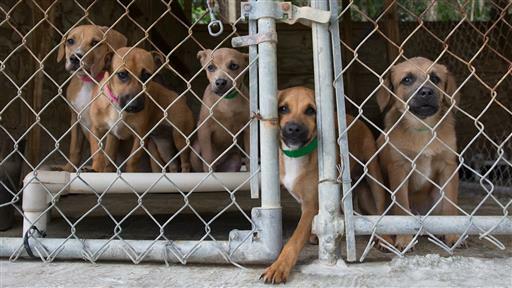 Every few months, Citigroup banker David Brownstein and his team fly dozens of stray dogs in Puerto Rico to rescue operations in the Hamptons and the Jersey Shore. The reasons for the flawed analysis essentially boil down to statistical errors, but the “sham study” as Blumenthal called it in a statement, raises questions about how well the Department is overseeing student loan servicers both in their dealings with service members and other borrowers. Servicers are typically the face of a student loan for borrowers in repayment. They’re the companies borrowers turn to when they want to access repayment programs or other benefits they’re entitled to with a federal student loan. But consumer advocates say the companies don’t do enough to make borrowers aware of their options and as a result more borrowers than necessary struggle with their loans. “These findings raise serious questions about whether the Department and its Office of Federal Student Aid can be trusted to protect the millions of borrowers under its care,” Warren said of the OIG report in her statement. The Department has taken steps in recent years to help ensure that service members get the interest rate cap when they’re entitled to it. Now servicers are required to match their portfolio of borrowers with a Department of Defense database and automatically provide active duty service members with the interest rate cap.